To be considered for pre-qualification, contractors/suppliers are required to Download and complete the Vendor Registration form from our website www.suprainv.com, as well as provide the requested documents contained in the registration form. • All pages of the Registration Form should be signed by the company’s Managing Director or any authorized signatory. • All prequalification documents should be bound and submitted in a sealed envelope boldly marked “PRE-QUALIFICATION FOR VENDOR REGISTRATION” at the left hand corner of the envelope. It should also clearly indicate the name of the company, mailing address, mobile number, the scope and category applied for as well as the items contained. • Applications should be sent to the address below on or before 12:00pm on 26th August, 2016. 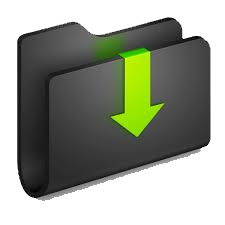 Alternatively, you can scan the document to contractorsupply2016@suprainv.com as PDF. All the attached should be properly labeled and zipped into a folder. Applications should be per scope and category and documents for each scope and category must be in separate envelopes or Zip folder, clearly and boldly labeled as indicated in the list of Mandatory Document. Crew Members are well trained individuals from different fields, who are ready to work and to execute task/jobs based on client specifications. We seek to retain majority control or hold a substantial minority position with significant control in our investments.